LOYOLA STUDENTS AND THEIR GUESTS partake in Loyolapalooza II 's festivities following the varsity football game; the MPC picked the name of the event and curated the music. LOYOLA STUDENTS AND THEIR GUESTS partake in Loyolapalooza II ‘s festivities following the varsity football game; the MPC picked the name of the event and curated the music. 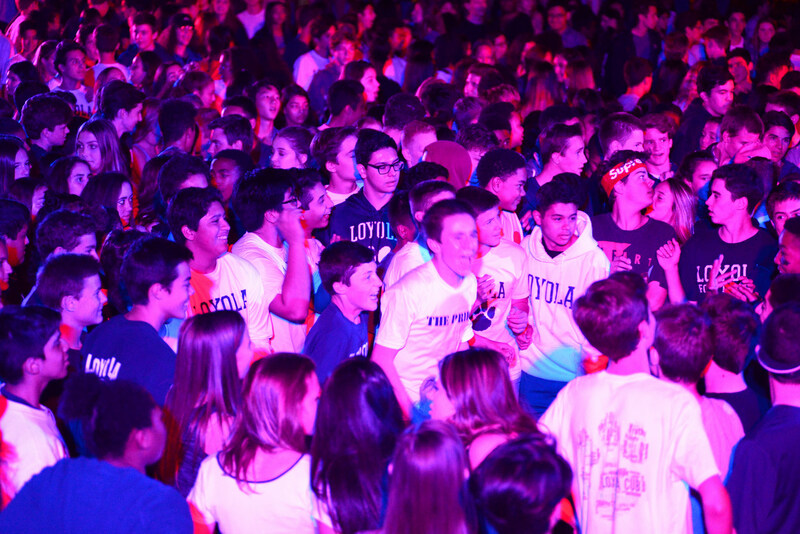 Loyolapalooza II was held outside Xavier Center on Nov. 4 following the last home football game of the season. Hosted by the Modern Poets and Composers (MPC) club, the dance was the second school dance of the year. The turnout at the dance was greater than last year due to advertising via social media and fliers. The MPC even chose to name this dance “Loyolapalooza II” in order to attract attention for the dance. According to senior and Dance Committee representative Scott Tamkin, attendance included over 400 students, many of which came from the football game. Although the space used for the festivity was not as big as the first dance, there was a large dance floor constructed by the loading dock.